Bianca Maria Visconti, the daughter of Filippo Maria Visconti, Duke of Milan, was born on this day in 1425 near Settimo Pavese in Lombardy. A strong character, her surviving letters showed she was able to run Milan efficiently after becoming Duchess and even supposedly donned a suit of armour and rode with her troops into battle, earning herself the nickname, Warrior Woman. Bianca Maria was the illegitimate daughter of the Duke of Milan, and was sent to live with her mother in comfortable conditions in a castle where she received a good education. 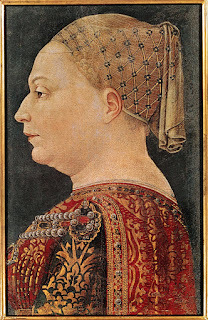 At the age of six she was betrothed for political reasons to the condottiero, Francesco I Sforza, who was 24 years older than her. Despite the political situation changing many times over the years, Bianca Maria and Francesco Sforza did get married in 1441 when she was 16. 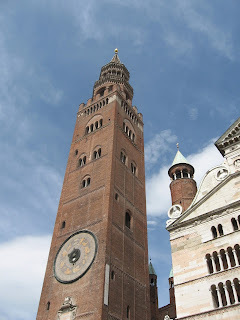 The wedding took place in Cremona, which was listed as part of her dowry. The celebrations lasted several days and included a banquet, tournaments, a palio and a huge cake made in the shape of the city’s Torrazzo, the bell tower. Bianca Maria quickly proved her skills in administration and diplomacy and at the age of 17 was named Regent of the Marche. After the death of her father, Bianca Maria and Francesco set off for Milan with their armies and Francesco spent three years trying to reconquer the cities that had declared independence from Milan after Filippo Maria Visconti’s death. In 1448, while Francesco was away fighting in Pavia, the Venetians attacked Cremona and it is claimed Bianca Maria put on a suit of armour and went with her troops to defend the city. When Bianca and Francesco were welcomed to Milan as the new duke and duchess they refused to travel in the triumphal wagon and instead chose to ride to the Duomo on horseback. With Francesco constantly occupied with his army, Bianca Maria devoted herself to the administration of the Duchy and to public works. 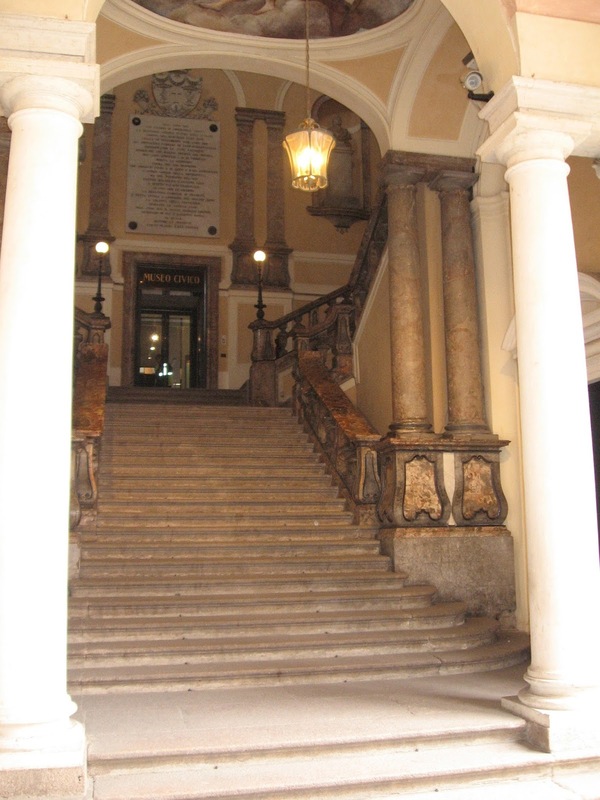 After the death of Francesco, Bianca Maria moved back to live in Cremona. She was in the process of returning to Milan to attend her son’s marriage when she fell ill. She died in Cremona a few months later at the age of 43 and was buried in the Duomo in Milan alongside her husband. Cremona has the tallest bell tower in Italy, il Torrazzo, which measures more than 112 metres in height. The city is also famous for producing torrone, a type of nougat. It is thought this concoction, of almonds, honey and egg whites, was first created in the shape of il Torrazzo to mark the marriage of Bianca Maria to Francesco in 1441. To sample the many different types of torrone now made, visit Negozio Sperlari in Via Solferino in the centre of the city. Cremona is also famous as the birthplace of Antonio Stradivari, who is considered to be the greatest ever violin maker. He is believed to have produced more than 1,100 instruments, some of which have achieved millions of pounds when sold at auction in modern times. 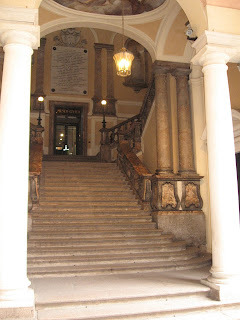 There is a Museo Stradivariano in Cremona in Via Ugolani Dati, housed in the elegant rooms of a former palace. Visitors can see more than 700 relics from Stradivari’s workshop, which date back to the 17th and 18th centuries.